High-protein foods are an essential part of any meal plan. This is because the body must use protein to generate new cells and repair existing ones. Most individuals require a minimum of 45 to 55 grams of protein each day. Although carbohydrates are also important, most people consume too many, which can lead to weight gain and even diabetes. For this reason, many nutritionists believe that the best way to keep muscles lean and maintain a healthy weight is to boost protein and limit carbohydrates. Once touted as an unhealthy food due to high cholesterol content, it has now been established that eggs are very good for most individuals. New research indicates that eggs do not increase your heart disease risk, but rather are full of healthy nutrients. Eggs contain vitamins B12 and K2, as well as about 6.5 grams of protein per egg. They are also a low calorie snack, as there are only approximately 140 calories in two, large hard boiled eggs. In addition, because they are a high protein food, they curb hunger and may reduce the total number of calories you eat for several hours, which can assist you with your weight loss goals. Mixed nuts are a great low-carb snack for essentially anyone. They have been linked to a reduced risk of cardiovascular problems, and they also help prevent depression, certain types of cancer, and other disorders. Because they are primarily comprised of “good fats,” they are very filling, and therefore consuming them in moderation may help you lose weight. Because they are very calorie dense–having approximately 180 calories in a one ounce serving–even a handful of nuts can reduce hunger pains and balance blood sugar. In addition, they are easy to take with you when away from home, as they retain freshness without refrigeration. Celery sticks with cream cheese have become a staple for those following a low carbohydrate diet. Not only is this combination a tasty snack that can stave off hunger pangs, it is also a healthy option. Celery contains an anti-inflammatory antioxidant called luteolin, and spreading on a bit of cream cheese turns celery sticks into a satisfying, delicious snack. Two ounces of cream cheese spread on five small celery sticks contains fewer than 200 calories, and therefore is a perfect snack if you are dieting and want to stay on track with your total daily calorie count. Although tofu is often underrated, it is a healthy, appetite quenching snack. Just one slice of firm tofu has eight grams of protein and only 80 calories. For this reason, it is a great low carbohydrate, non–meat addition to your overall diet regimen. Tofu can be purchased in a variety of flavors as well, with something to please essentially anyone. Mozzarella cheese and tomatoes are a flavorful, healthy combination. Not only are tomatoes rich in potassium and vitamin C, they also have generous amounts of lycopene, which is an antioxidant proven to reduce the risk of heart disease and cancer. Mozzarella cheese is high in vitamin B12, calcium and protein, and may increase your levels of HDL–good–cholesterol. Two ounces of mozzarella cheese and a full cup of cherry tomatoes offer six grams of protein for under 200 calories. Greek yogurt differs greatly from its traditional counterpart because of its high protein concentration. For this reason, it is becoming a staple of many low-carb eating plans. Although it has a slightly higher number of calories than classic yogurt, the latter cannot compete with the protein concentration in the Greek variety. One cup has a whopping 24 grams of protein and unlike traditional yogurt, it contains only a few grams of sugar. Baby carrots dipped in full-fat, blue cheese salad dressing are a healthy, filling low-carb snack. Carrots are a top source of beta-carotene and carotenoids, which your body converts to vitamin A. Because vitamin A is a fat soluble vitamin, the blue cheese dressing ensures maximum absorption. In addition, the carotenoids found in carrots may lower your risk of cataracts, heart disease and cancer. Four ounces of baby carrots and one serving of blue cheese dressing has less than 200 calories, but is surprisingly filling. Although once considered a seasonal treat, pumpkin seeds have become a mainstream, year-round snack because of their many health benefits. They are convenient, tasty, and satisfy cravings, particularly if you like salty snacks. Pumpkin seeds are now featured in many health food stores due to their high potassium and zinc content. Although they contain a substantial amount of fat, this need not be a problem, provided you limit portions to approximately one ounce. This modest amount provides a full seven grams of protein and zero carbohydrates. Having a healthy serving of chilled shrimp with cocktail sauce is an ideal avenue through which to get your recommended eight ounces of seafood every week, while enjoying a healthy, hunger busting snack. Shrimp contain no carbohydrates, but have generous amounts of protein, minerals and vitamins. A five ounce serving of shrimp contains approximately 35 grams of protein, but has less than 150 calories. However, cocktail sauce typically contains modest amounts of sugar, so dip your shrimp sparingly–you will still enjoy plenty of flavor. Additional nutrients found in shrimp include iodine, B12, copper, phosphorous and selenium. Although cheese contains generous amounts of fat, most varieties also have significant amounts of protein. String cheese is a great choice, as it comes prepackaged in individual servings, making portion control easy. Many brands require no refrigeration because they are vacuum sealed. Mozzarella is a good choice if you are looking for a cheese snack, as its fat content is lower than other varieties, but its flavor is delicious. An ounce of string cheese has approximately 90 calories, but zero carbohydrates and about 11 grams of protein. Sugar-free Jell-O is a delicious, tasty alternative to sugary snacks. If you get a craving for something sweet, but still want to stick to a low carbohydrate diet, consider sugar-free Jell-O with a half a cup of walnuts on the side. Walnuts offer protein to fill you up, while the sugar-free Jell-O curbs your sugar craving without adding any calories to your diet. You can also spoon a dollop of whipped cream on top of the mixture for added flavor. Whenever you have a sweet tooth attack, this combination is a solid choice of snacks. If you enjoy salads and are following a low-carb, high-protein diet, treat yourself to a mini chef salad. Use kale or spinach for its base, and add one hard-boiled egg, a slice of low-fat cheese and an ounce of chicken, turkey or ham. Use two tablespoons of your favorite dressing and enjoy a high-protein, low-carb snack that is guaranteed to satisfy. Beef sticks or beef jerky are perfect for high-protein, low-carb diets. However, make sure you select the appropriate type: some brands of beef jerky are loaded with preservatives and sugar, but some keep junk ingredients to a minimum. Reading the label is the key to choosing wisely regarding this snack. Generally speaking, you should look for jerky or meat sticks made from turkey or grass fed beef. The latter contain more omega-3 fatty acids than brands made from grain-fed beef. Most beef sticks contain approximately seven grams of protein per ounce and are typically very filling. Turkey roll-ups are nutritious and tasty, and are filled with high-quality protein to keep you satisfied. The protein in turkey has been shown to preserve muscle mass, as it burns a higher number of calories during digestion than carbohydrates or fat. In addition, turkey roll-ups are easy to make. Simply take four slices of turkey breast, four cucumber strips and two tablespoons of cream cheese and roll them up for a delicious and filling snack. One turkey roll-up has a whopping 20 grams of protein and approximately 150 calories. Kefir is a staple in Russia, but only just catching on in the United States. It is similar to yogurt, but thicker, creamier, and packed with higher amounts of protein and calcium. Prepackaged kefir smoothies are popping up in health food stores across the country, and each 3.5 ounce serving has seven grams of protein and only three grams of carbohydrates. In addition, kefir is full of healthy probiotics and offers 100 percent of the recommended daily allowance of vitamin C for healthy adults. Peanut butter is a classic favorite that most people enjoy at least occasionally. Although its fat and calorie content are quite high, it can still be used to great advantage if you are following a high–protein, low–carbohydrate diet. Two tablespoons of low-fat peanut butter on one full stalk of celery provides eight grams of protein and only two grams of carbohydrates. Provided you do not overdo it, peanut butter is a great protein snack. Edamame is the only vegetable in existence that provides a protein profile equivalent to both eggs and meat. In addition, it is rich in B vitamins, zinc, iron and calcium. It is also one of the richest sources of isoflavones, and therefore a particularly great snack choice for women. However, regardless of your gender, the 14 grams of protein a single serving of edamame provides is highly beneficial. One-half cup of edamame has less than 200 calories and only five grams of carbohydrates. Do not be fooled by the tiny size of chia seeds, as these small, black seeds deliver a substantial number of nutrients, but still have very few calories. Found in South America, seeds of this type provide sustainable energy, due to the slow rate at which they are digested. Recognized as a modern day super food, chia seeds are a staple among many health-conscious individuals. Just one ounce gives you four grams of protein and only three grams of carbohydrates. Kale chips are a nutritious alternative to nachos, corn chips and potato chips. They provide the same satisfying crunch, but with much less sodium, calories and preservatives. Made from kale, they are naturally fat-free and have no cholesterol. 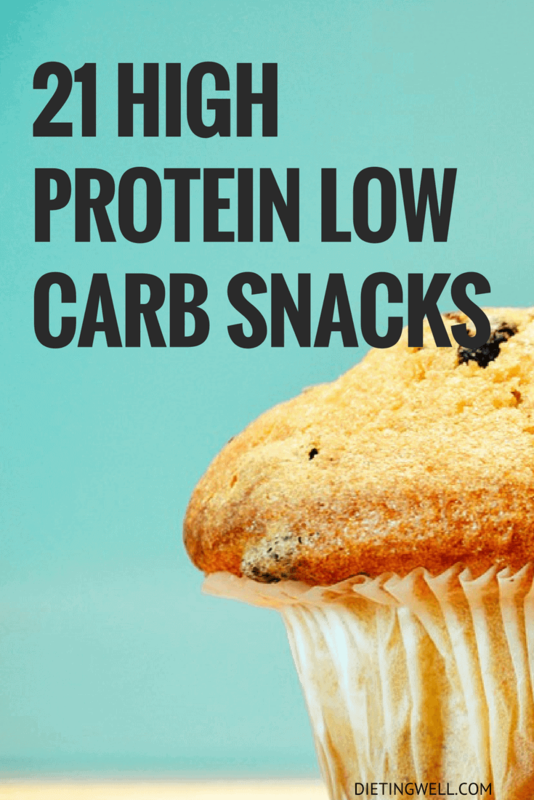 With fours grams of protein per handful and only one gram of carbohydrates, they are the perfect protein treat, especially if you are a crunchy snack lover. Chickpeas are a fantastic source of protein. 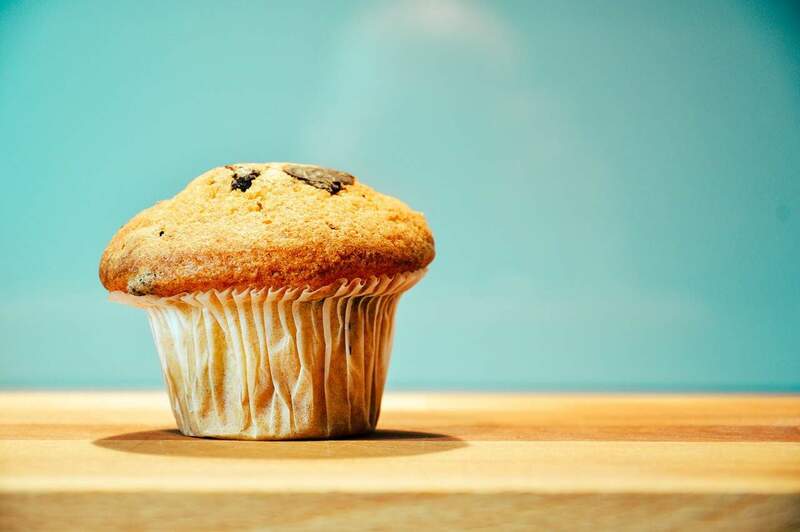 Two-thirds of a cup have approximately 28 grams of protein and only six grams of carbohydrates. They are very high in fiber as well, and this helps you stay full for a longer period of time. Additionally, chickpeas can reduce cholesterol and support heart health. They are also very high in potassium, making it easy to get your full recommended daily allowance of this mineral. A simple snack of protein-packed tuna and wheat thins can quell hunger pangs and deliver a considerable amount of omega-3 fatty acids and vitamin D. A three-ounce pack of albacore tuna scooped up with some wheat thins can be used as a snack or mini-meal that is both satisfying and simple. 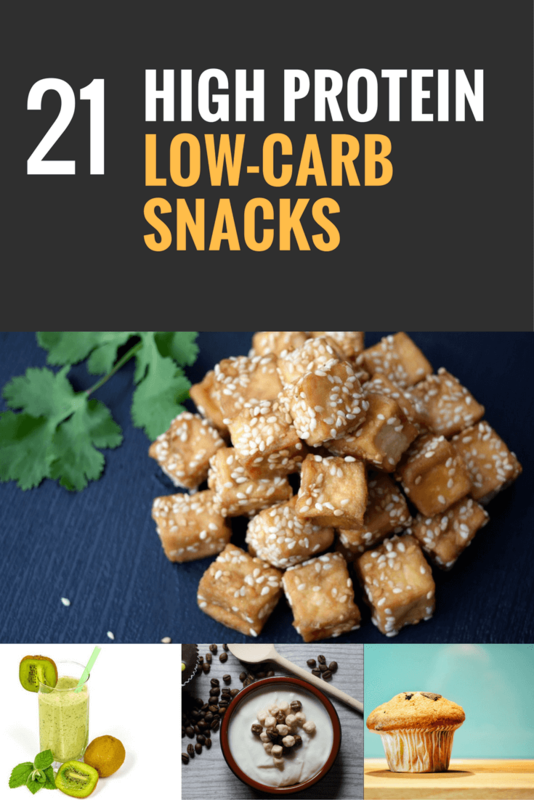 This delicious treat has 12 grams of protein, and as long as you do not go overboard with your serving of crackers, it is very low-carb as well. Most people at least occasionally rely on snacks for energy and to stave off hunger pangs until their next healthy meal. Having nutritious options nearby can help you avoid alternatives that are not good for your health or your waistline. The snacks listed above offer the highest amount of protein and the most nutrients with the lowest amount of carbohydrates. This makes them perfect for high protein diets. As always, before beginning any new diet or exercise program, speak to your doctor or healthcare practitioner.